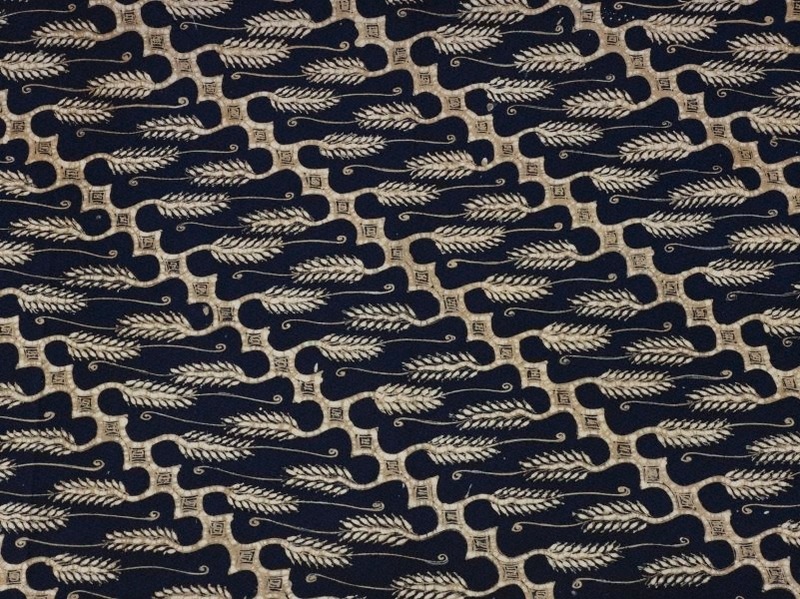 Central Javanese batik textiles display a conservative repertoire of designs dominated by geometric shapes, primarily in shades of brown and blue. The white background of this piece suggests that it was produced in Jogyakarta, rather than in Surakarta (Solo) where a cream-colored cloth was used. The parang design has many variations, some of which are 'forbidden motifs' reserved for use by royalty and the court (kraton). This piece is a kain panjang, a cloth measuring approximately 2.5 by 1.05 metres that wraps around and covers the body from waist to ankle.